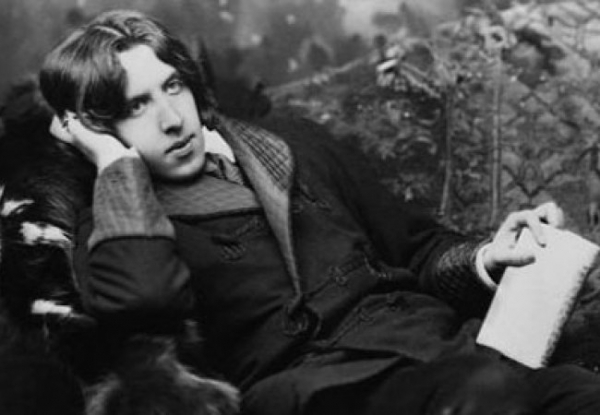 Oscar Wilde, your century did not deserve you. It makes me so sad to think about how underappreciated you were during your lifetime, and how miserable society made you feel for being yourself. They were too close minded to recognise you for the wonderful and fabulous man you were. I only wish you were born in this age, where we need you so much, and where you would be free to unfurl your majestic personality without fear of being judged. You were an exquisite gentleman and master of elegance, both in fashion and in writing, born in 1854 to an Irish doctor and his poet wife. Your illustrious literary career bought you fame, but your refusal to adhere to the strict moral values of your epoch caused your downfall. Your most famous novel, The Picture of Dorian Gray, is still read today, along with numerous other plays that comment on the shallowness of high class society. When I first read The Picture of Dorian Gray, I immediately fell in love with your absolutely fantastic wit and humorous manner. It became my favourite book of all time and I would have loved to memorise every line of it, to quote it constantly and let all my friends know what an extraordinary writer you are. If I would have a time machine, the first thing I would do with it is kidnap you from the century that was too young to fully appreciate you and I would bring you to the modern day, where your books would all be bestsellers, your Twitter would have the most subscribers, and your fashion style would put you on the cover of hundreds of magazines for all to see. You would have a blast!